Can't add much to previous comments, but as this is my first climb, I thought I'd give a beginner's perspective, This site, along with gerrym's videos on youtube inspired me to have a go, so maybe if someone is thinking of starting to hike, I can do the same. 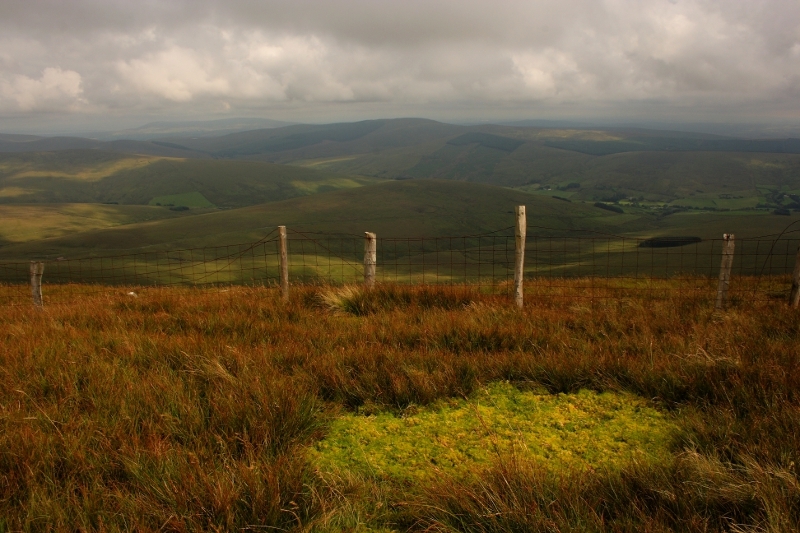 Chose Sawel as its the highest point in my native Tyrone and within easy reach. I went up the East side following the fence from the second cattle grid on the Sperrin Road, in bright late afternoon sunshine. Not too steep or difficult although I needed a couple of breathers when the legs protested. The fence was a great security blanket and you can't miss the summit. The views are great but unfortunately it became very murky and hazy at the top, so no great photos. Dutifully hopped over the fence too, so I could claim Tyrone as well as Derry.